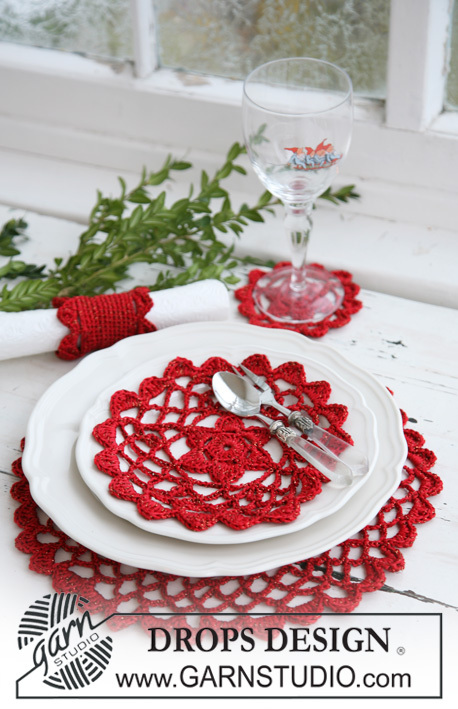 Crochet placemats add an aesthetic value to an otherwise dull dining table. Their cozy and comfy feel can be a great attraction for indoor as well as outdoor family dining. 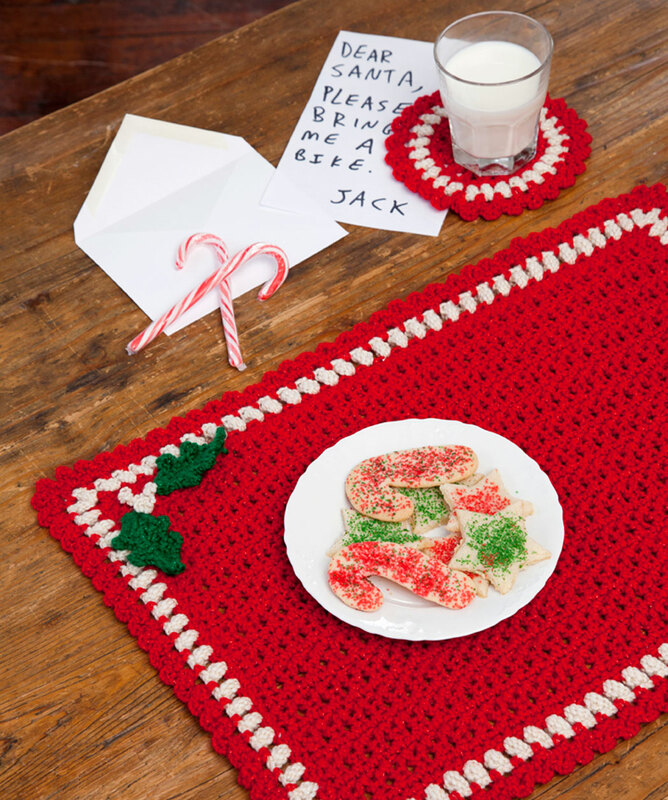 These Christmas Placemat Set Free Crochet Patterns feature elegant or playful designs that you can customize with colors to match the season or your plates. 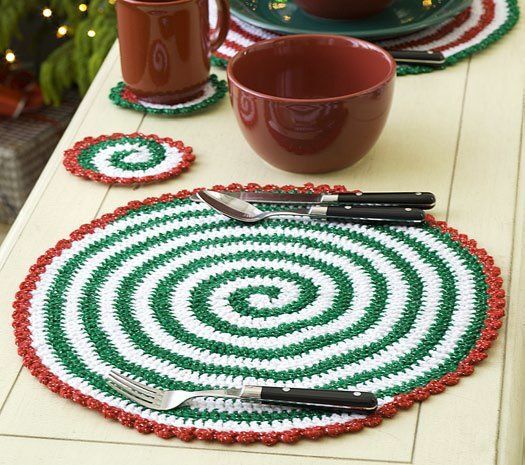 Use orange and black yarn for a Halloween placemat, or create summer spirals by using bright yellows, blues, pinks, greens, and oranges. Set your holiday table in style with this lovely set. These are perfect small projects for gift giving. Enjoy. You might also like Christmas Angel Ornament Free Crochet Patterns.